The sixth instalment in the Terminator franchise will be in cinemas soon. Arnold Schwarzenegger is, indeed, back as the T-800 Model 101 and Linda Hamilton has reprised her role as Sarah Connor. Finally, fans are treated to two new morsels of information: the title and release date. When is Terminator 6 out in cinemas? The sixth instalment in the franchise is out in UK cinemas on October 23, 2019. Fans in America will have to wait till November 1, 2019, for the sequel. Terminator 6 has been in the works since 2013, but with the box office failure of Terminator Genisys, the project was thrown into doubt. But by 2017, James Cameron regained control of the franchise and the sixth sequel was back on. What is the title of Terminator 6? The sixth sequel will go by its working title, Terminator: Dark Fate. Deadpool’s Tim Miller will direct the sixth instalment, with James Cameron producing. Dark Fate film will be a direct sequel to the second Terminator movie, Judgement Day (1991). The screenplay comes from David Ellison (World War Z). Who is in the cast of Terminator: Dark Fate? Brett Azar is reprising his role from Terminator: Genisys as the body double for a young T-800. Mackenzie Davis stars as Grace, a soldier-assassin. Jude Collie plays John Connor, Sarah Connor’s son who is destined to save humanity, years in the future, from an apocalyptic war against the machines as leader of the Resistance. Collie is actually the body double for the young John Connor and Edward Furlong’s 1991 facial likeness will be applied through the use of CGI. Gabriel Luna plays a Terminator, with Natalia Reyes and Diego Boneta play Dani Ramos and Miguel Ramos. Terminator 6 had previous release dates of July 26, November 15, and November 22, 2019. What is the plot of Terminator: Dark Fate? The plot of Terminator 6 is unknown, but James Cameron did hint at the retconning the film would do. 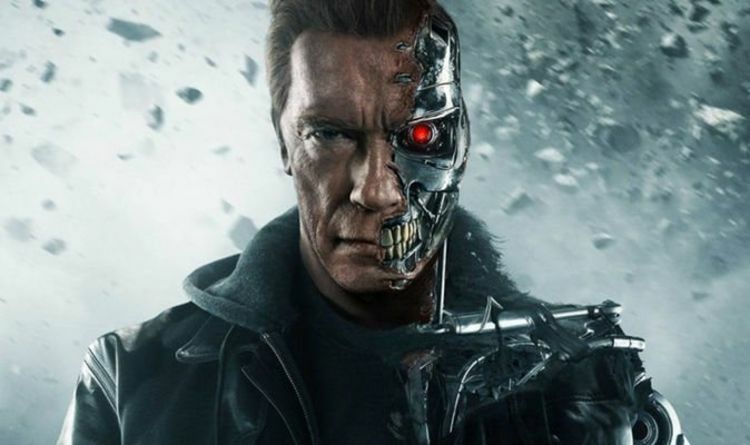 Cameron said: “This is a continuation of the story from Terminator 1 and Terminator 2. “And we’re pretending the other films were a bad dream. Or an alternate timeline, which is permissible in our multi-verse. Terminator: Dark Fate is out in cinemas on October 23, 2019.